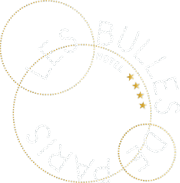 Upon entering the Hotel Les Bulles de Paris, you’ll find yourself in a world designed specifically for your comfort. After enjoying a restful night spent in a room with a décor based around the theme of Champagne, you can make your way to the breakfast room to discover a very varied buffet. From cereals to pastries and from scrambled eggs to smoked salmon, our hotel meets the expectations and appetite of all guests. Then, why not head for our wellness facilities to enjoy a moment of relaxation in the steam room, sauna or massage room? The Hotel Les Bulles de Paris also offers a tasting salon where you can discover amazing Champagne. Located in the basement of the hotel, it is a vaulted space in which the architecture and décor lend themselves perfectly to the sampling of vintages. In the evening, you’ll be welcomed back to the Champagne bar to partake of a celebratory moment or two before returning to your room. And, to ensure your total comfort, the hotel offers a 24/7 room service. Feeling peckish? Our partner, Les Petits Plats en Chambre, offers a selection of very fine quality dishes. Breakfast is an important part of the day, and one which we at the Hotel Les Bulles de Paris like to turn into a special treat for our guests. This delicious buffet, offered at 22 euros per person. For those of you who are in a hurry, an "on the go" alternative breakfast is available for €8. Enjoy a croissant, hot drink and a fruit juice in the hotel bar! We also offer a continental breakfast served in the comfort of your room. The Hotel Les Bulles de Paris intends to make your stay in the heart of the French capital a unique one, and everything has been taken into consideration regarding your comfort and well-being. Therefore, room service is available 24/7 to respond to your requests. The hotel is a partner of Les Petits Plats en Chambre, a specialist in gastronomy who will certainly satisfy your taste buds with original dishes and a variety of fine flavours.